Businesses in the UK and consumers are set to benefit from the trade continuity agreement which will be enforced with the Caribbean after the UK leaves the EU. The Cariforum-UK Economic Partnership Agreement (EPA) was signed on Friday 22 March by UK trade policy minister George Hollingbery and ministers and representatives from Barbados, Belize, The Commonwealth of Dominica, Grenada, The Republic of Guyana, Jamaica, Saint Christopher and Nevis, Saint Lucia, Saint Vincent and the Grenadines. The agreement has been welcomed by the West Indies Rum and Spirits Producers Association (WIRSPA) which represents brands such as Appleton, Angostura and Mount Gay Rum. There will be no tariffs placed on all goods imported into the UK from those states that have signed the deal. Caribbean states will also continue to gradually cut import tariffs on most of the region’s imports from the UK. As well as rum, the UK is a key market for bananas and sugar cane. In 2017 it bought 100% of Saint Lucia’s banana exports, as well as 69% of Belize’s banana exports, and 81% and 64% respectively of Guyanan and Jamaican sugar cane exports. In 2017, the total trade between the UK and the Caribbean was worth around £2.5 billion. Minister for trade policy, George Hollingbery said: “I am delighted to sign this agreement today as it will allow businesses to continue trading like they do today after we leave the European Union. “It will help to support jobs in the UK and throughout the Caribbean, as well as ensuring that the British supermarkets shelves continue to be stocked with the best Caribbean produce such as bananas, sugar and rum. Komal Samaroo, chairman of the West Indies Rum & Spirits Producers Association (WIRSPA), and head of the Guyana-based Demerara Distillers conglomerate said: “We’re extremely happy to see the culmination of this agreement which both sides have worked hard to achieve. The UK is a major export destination for our rums and we are pleased that the trade provisions will maintain our continued access to that market. 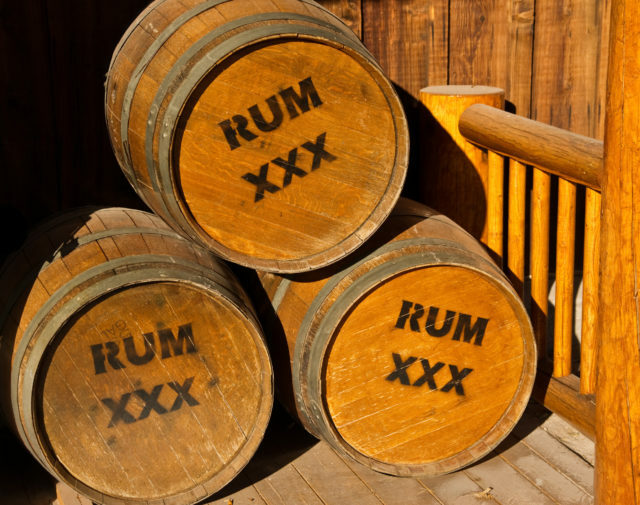 This is very good news for Rum producers in the Caribbean.